The Indigo unit has made Umpqua National Forest, Lane and Douglas counties part of their turf. The confirmation of a new Oregon wolf group will likely have agriculturalists gnashing their teeth — and environmentalists howling at the moon. Residents in Lane and Douglas counties have reported wolf activity for some time, and government biologists identified wolf tracks in late 2018. 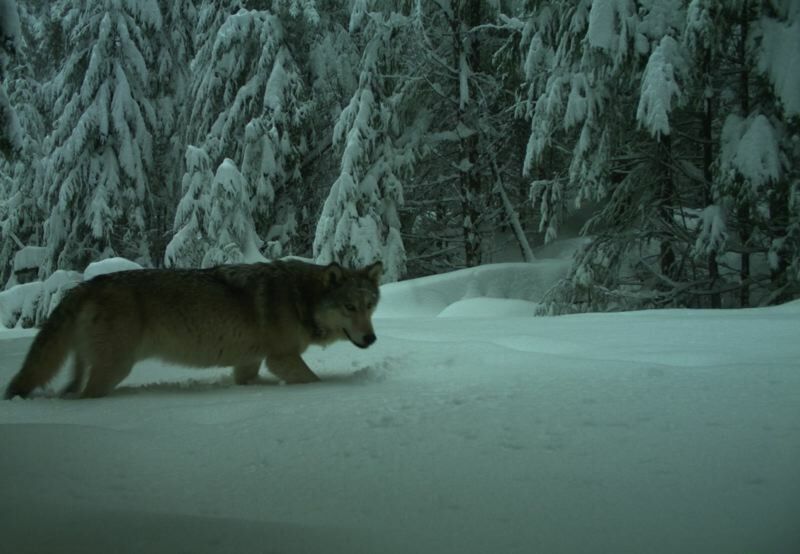 But the predators' existence has now been corroborated after the Oregon Department of Fish & Wildlife captured camera footage of three gray wolves — dubbed the Indigo unit — tramping through the snow in the Umpqua National Forest on Feb. 20. 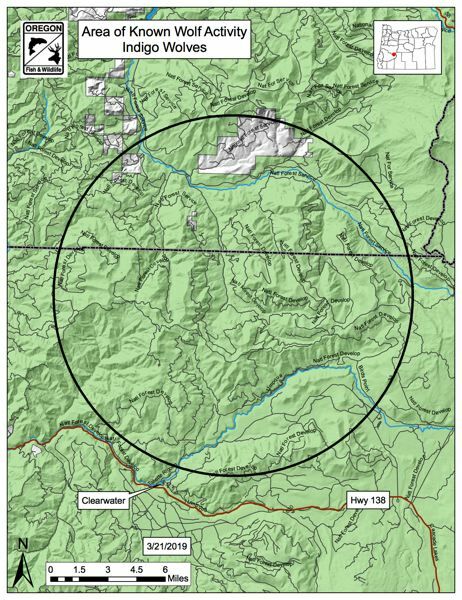 On Thursday, March 21, ODFW designated the land north of Highway 138 near the village of Clearwater as an Area of Known Wolf Activity. Wildlife managers say they need more information to determine the group's breeding status and gender. It's only the third such confirmation in the Cascade Mountain Range since bounty hunters exterminated Oregon's wolf population about 70 years ago. The White River Pack was found living south of Mt. Hood in 2018, while the Rogue Pack has been living near Crater Lake for about four years. In total, there are at least 124 wolves living in Oregon, which led the state to delist gray wolves from the Endangered Species Act in 2016. That decision in turn prompted a lawsuit by local environmental groups, including Cascadia Wildlands, who are celebrating the arrival of the Indigo unit. "Today's exciting news further demonstrates that with enough time and human tolerance, gray wolves will continue to re-establish themselves across historic habitats in the region," said Josh Laughlin, the group's executive director. "We must do all we can to ensure this fragile population is safeguarded and recovery is achieved." Farmers and ranchers in Eastern Oregon have been equally pleased, now that wolves are no longer federally protected in that slice of the state.